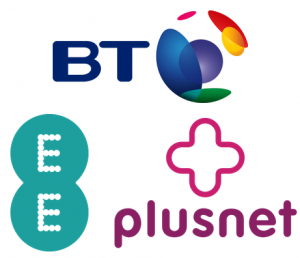 BT Mobile, EE and Plusnet Mobile are three brands from the BT Group using 4G coverage from EE. Find out how the three mobile networks compare. 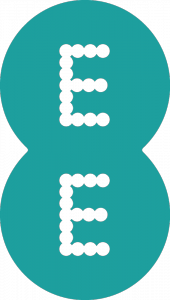 In 2016, BT acquired the EE mobile network and incorporated it into the wider BT Group. Alongside BT Mobile, the BT Group now also offers a mobile service through the EE and Plusnet Mobile brands. 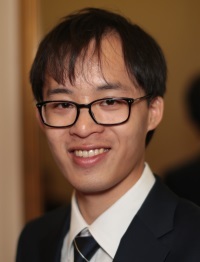 All three brands offer coverage from EE’s high-speed 4G network, but differ in some of the features they offer and also in their target audience. In general, the EE brand is targeted towards power mobile users. EE offers the widest selection of devices along with the biggest data allowances and fastest download speeds available. Customers using the EE network also get extras like wi-fi calling, 4G calling and access to Apple Music. BT Mobile is targeted towards more families and households. They’ve got a smaller selection of handsets compared to EE but there are some additional features like family discounts, monthly spend caps and access to BT Wi-Fi hotspots. Finally, Plusnet Mobile is the more affordable ‘value’ brand in the portfolio. Calling themselves a ‘simple and honest mobile’ service, they offer plans from just £5/month on a 30-day contract. While Plusnet Mobile doesn’t come with all the additional benefits of EE and BT Mobile, they provide highly-affordable prices and the ultimate flexibility. In this article, we’ll be reviewing EE, BT Mobile and Plusnet Mobile to see how the three mobile networks stack up against each other. * Wi-Fi Calling and 4G Calling require a compatible handset. Read on for more in-depth information about the EE, BT Mobile and Plusnet Mobile brands. EE became a part of the BT Group in 2016 and has recently been incorporated into the consumer arm of the BT Group. 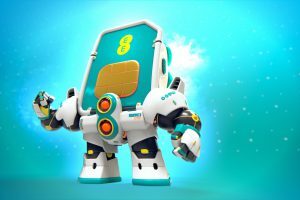 The EE brand has been positioned towards power mobile users who want the latest devices, the largest data allowances and the latest mobile network technology. EE offers the widest selection of handsets, with 190 to choose from at the time of writing. This includes the latest high-end smartphones including the iPhone 8 and Galaxy Note 8. EE also offers a range of other connected devices like the Apple Watch Series 3 exclusively in the UK. Customers can also get a SIM-only plan for their existing device from £10.99/month on a 12-month contract. On EE, 4G plans are available with up to 100GB of data per month. As well as standard-speed 4G (up to 30Mbps), EE customers also get access to double-speed 4G (up to 60Mbps). Customers with the flagship 4GEE Max tariff also get access to 4G+ in certain areas (giving speeds of up to 90Mbps). Customers also get access to wi-fi on the Underground and if they have a compatible handset, access to Wi-Fi Calling and VoLTE (4G calling). Customers joining EE will also get six months of free Apple Music and three months of free BT Sport (24 months if you take a 4GEE Max plan). Customers on 4GEE Max also get access to inclusive roaming in Australia, Canada, Mexico, New Zealand and the USA. Visit EE Website → or read our EE review to learn more. Typically, the latest mobile network features are available only on EE (for instance, 4G+, wi-fi calling, VoLTE, Apple Music, roaming in the USA, etc). BT Mobile launched in 2015, using coverage from the EE mobile network. 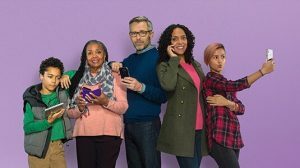 As part of the BT consumer group, the BT Mobile brand is now targeted towards families and households. Historically, BT Mobile has been best known for their SIM-only deals which start from £5/month on a 12-month contract. With Family SIM, multiple people in one household can sign up for BT Mobile, receiving a discount on their subscription and having all charges on one single combined bill. Tariffs come with a built-in spend cap to reduce the chance of unexpected bills, and customers with a BT Broadband subscription in their household will get a £5/month discount. Today, BT Mobile also offers a number of handsets on a 24-month contract. The selection is much more limited compared to EE (only 17 handsets, compared to 190 on EE) but many bestselling handsets like the iPhone 8 and Galaxy S8 are still available to buy on BT Mobile. In terms of data plans, it’s normally possible to get up to 15GB of data per month on BT Mobile. Customers using BT Mobile get access to 2G, 3G and 4G coverage from EE. By default, this is limited to standard-speed 4G (up to 30Mbps) with there being an add-on available for upgrading to Extra-Speed 4G (up to 60Mbps). Customers joining BT Mobile will also get access to free wi-fi at 5 million BT Wi-Fi hotspots. Visit BT Mobile Website → or read our BT Mobile review to learn more. A major feature of BT Mobile is their family-friendly features (e.g. Family SIM, spend caps, BT Wi-Fi, etc). Plusnet Mobile launched in 2016, carrying the baton from LIFE Mobile, EE’s previous value-focussed brand. Promising “simple and honest mobile”, Plusnet provides a 4G mobile service without all the extras of EE and BT Mobile. On Plusnet Mobile, it’s possible to get a SIM-only deal from only £5/month on a 30-day contract. You’ll need to provide your own handset to use with the service but you’re rewarded with low prices and lots of flexibility. Data plans are available on Plusnet Mobile with up to 4GB of data per month. Customers will have access to EE’s 2G, 3G and 4G mobile networks but are limited to standard-speed 4G (up to 30Mbps). There’s no wi-fi included like there is on EE and BT Mobile, nor is there access to extra features like Wi-Fi and 4G calling. One of the key benefits of Plusnet Mobile is the built-in Smart Cap which gives you greater control over spending on your account. Customers can also use their phone in Europe at no extra charge, providing they choose a tariff with roaming included. 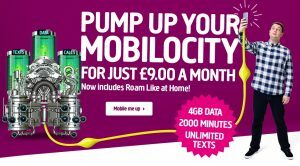 Occasionally, exclusive deals are available to Plusnet Broadband customers in the Mates Rates section of the Plusnet Mobile website. Visit Plusnet Mobile Website → or read our Plusnet Mobile review to learn more. Plusnet Mobile is a value brand promising “simple and honest mobile” with 4G coverage from EE. For more information, please see the official EE, BT Mobile and Plusnet Mobile websites. You can also read our in-depth review of each mobile network. I don’t see an option to enable WiFi calling on my sim free Samsung S8 on BT mobile. Wi-Fi Calling and 4G Calling now available on BT!